This article is about the monarchy of Antigua and Barbuda. For information on the other countries which share the same person as monarch, see Commonwealth realm. Most of the Queen's powers in Antigua and Barbuda are exercised by the Governor-General, presently Rodney Williams, though the Monarch does hold several powers that are hers alone. 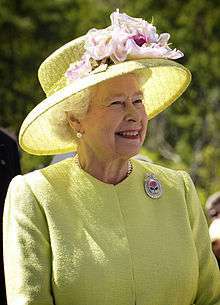 The Queen is the only member of the Antiguan and Barbudian Royal Family with any constitutional role; she, her husband, Prince Philip, Duke of Edinburgh, their son The Prince of Wales, and other members of the Royal Family, including the Queen's other children and cousins, undertake various public ceremonial functions within Antigua and Barbuda and abroad. The current Antiguan and Barbudian monarchy can trace its ancestral lineage back to the Anglo-Saxon and Merovingian periods, and ultimately back to the kings of the Angles, the early Scottish kings, and the Frankish kingdom of Clovis I. Parts of the territories that today comprise Antigua and Barbuda were claimed under King Charles I in 1632. The country was proclaimed fully independent, via constitutional patriation, by Queen Elizabeth II in 1981. Sixteen states within the 53-member Commonwealth of Nations are known as Commonwealth realms and Antigua and Barbuda is one of these. Despite sharing the same person as their respective national monarch, each of the Commonwealth realms is sovereign and independent of the others. The Balfour Declaration of 1926 provided the Dominions the right to be considered equal to Britain, rather than subordinate; an agreement that had the result of, in theory, a shared Crown that operates independently in each realm rather than a unitary British Crown under which all the Dominions were secondary. The Monarchy thus ceased to be an exclusively British institution, although it has often been called "British" since (in both legal and common language) for reasons historical, legal, and of convenience. The Royal and Parliamentary Titles Act, 1927 was the first indication of this shift in law, further elaborated in the Statute of Westminster, 1931. Under the Statute of Westminster, Antigua and Barbuda has a common monarchy with Britain and the other Commonwealth realms, and Antigua and Barbuda cannot change the rules of succession without the unanimous consent of the other realms, unless explicitly leaving the shared monarchy relationship by means of a constitutional amendment. This situation applies symmetrically in all the other realms, including the UK. On all matters of the Antiguan and Barbudian state, the Monarch is advised solely by Antiguan and Barbudian ministers. Effective with the patriation of Antigua and Barbuda's Constitution, no British or other realm government can advise the Monarch on any matters pertinent to Antigua and Barbuda. Elizabeth the Second, by the Grace of God, Queen of Antigua and Barbuda and of Her other Realms and Territories, Head of the Commonwealth. This style communicates Antigua and Barbuda's status as an independent monarchy, highlighting the Monarch's role specifically as Queen of Antigua and Barbuda, as well as the shared aspect of the Crown throughout the realms, by mentioning Antigua and Barbuda separately from the other Commonwealth realms. Typically, the Sovereign is styled "Queen of Antigua and Barbuda," and is addressed as such when in Antigua and Barbuda, or performing duties on behalf of Antigua and Barbuda abroad. Antiguans and Barbudians do not pay any money to the Queen, either for personal income or to support the royal residences outside of Antigua and Barbuda. Only when the Queen is in Antigua and Barbuda, or acting abroad as Queen of Antigua and Barbuda, does the Antiguan and Barbudian government support her in the performance of her duties. This rule applies equally to other members of the Royal Family. Usually the Queen's Antiguan and Barbudian government pays only for the costs associated with the Governor-General in his or her exercising of the powers of the Crown on behalf of the Queen, including travel, security, residences, offices, ceremonial occasions, etc. 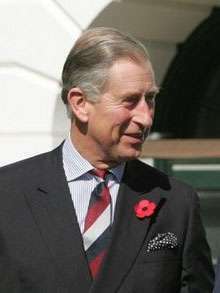 The heir apparent is Elizabeth II's eldest son, Charles. The Governor-General is expected to proclaim him King of Antigua and Barbuda upon his accession to the Throne upon the demise of the Crown. Succession to the throne is by male-preference primogeniture, and governed by the provisions of the Act of Settlement, as well as the English Bill of Rights. These documents, though originally passed by the Parliament of England, are now part of Antiguan and Barbudian constitutional law, under control of the Antiguan and Barbudian parliament only. As such, the rules for succession are not fixed, but may be changed by a constitutional amendment. This legislation restricts the succession to the natural (i.e. non-adopted), legitimate descendants of Sophia, Electress of Hanover (1630–1714), a granddaughter of James I, and lays out the rules that the Monarch cannot be a Roman Catholic, nor married to one, and must be in communion with the Church of England upon ascending the throne. As Antigua and Barbuda's laws governing succession are currently identical to those of the United Kingdom (by the Statute of Westminster) see Succession to the British Throne for more information. Upon a "demise in the Crown" (the death of a Sovereign) his or her heir immediately and automatically succeeds, without any need for confirmation or further ceremony. (Hence arises the phrase "The King is dead. Long live the King!") Nevertheless, it is customary for the accession of the Sovereign to be publicly proclaimed. After an appropriate period of mourning has passed, the Sovereign is also crowned in Westminster Abbey, normally by the Archbishop of Canterbury. A coronation is not necessary for a Sovereign to rule; for example, Edward VIII was never crowned, yet was undoubtedly King during his short reign. After an individual ascends the Throne, he or she continues to reign until death. Monarchs are not allowed to unilaterally abdicate; no Antiguan and Barbudian monarch has abdicated. Antigua and Barbuda's constitution is made up of a variety of statutes and conventions that are either British or Antiguan and Barbudian in origin, which gives Antigua and Barbuda a similar parliamentary system of government as the other Commonwealth realms. All powers of state are constitutionally reposed in the Monarch, who is represented in the country by the Governor-General of Antigua and Barbuda — appointed by the Monarch upon the advice of the Prime Minister of Antigua and Barbuda; most of the Queen's domestic duties are performed by these vice-regal representative. The new constitution for Antigua and Barbuda was made by Order in Council (1981 No. 1106) under the West Indies Act 1967. It came into operation on 31st October 1981. The role of the Queen and the Governor-General is both legal and practical; the Crown is regarded as a corporation, in which several parts share the authority of the whole, with the Queen as the person at the centre of the constitutional construct. The vast powers that belong to the Crown are collectively known as the Royal Prerogative, which includes many powers such as the ability to make treaties or send ambassadors, as well as certain duties such as to defend the realm and to maintain the Queen's peace. Parliamentary approval is not required for the exercise of the Royal Prerogative; moreover, the Consent of the Crown must be obtained before either House may even debate a bill affecting the Sovereign's prerogatives or interests. It is important to note that the Royal Prerogative belongs to the Crown, and not to any of the ministers, though it may sometimes appear that way. Although the Royal Prerogative is extensive, it is not unlimited. For example, the Monarch does not have the prerogative to impose and collect new taxes; such an action requires the authorisation of an Act of Parliament. The Crown is responsible for appointing a Prime Minister. In accordance with unwritten constitutional conventions, the Monarch or Governor-General must appoint the individual most likely to maintain the support of the House of Commons: usually, the leader of the party which has a majority in that House. If no party has a majority, two or more groups may form a coalition, whose agreed leader is then appointed Prime Minister. In a Parliament in which no party or coalition holds a majority, the Crown is required by convention to appoint the individual most likely to command the support of the House of Commons, usually, but not necessarily, the leader of the largest party. Situations can arise in which the Governor-General's judgement about the most suitable leader to be Prime Minister has to be brought into play. The Queen is informed by the Governor-General of the acceptance of the resignation of a prime minister and the swearing-in of a new prime minister and members of the Ministry. It is a duty of the Crown to also appoint and dismiss ministers, members of various executive agencies, other officials. The appointment of Senators and the Speaker of the Senate also falls under the Royal Prerogative. Effectively, however, the appointees are chosen by the Prime Minister, or, for less important offices, by other ministers. In addition, it is the Crown's prerogative to declare war, make peace, and direct the actions of the military, although the Prime Minister holds de facto decision-making power over the armed forces. The Royal Prerogative also extends to foreign affairs: the Sovereign or Governor-General may negotiate and ratify treaties, alliances, and international agreements; no parliamentary approval is required. However, a treaty cannot alter the domestic laws of the Antigua and Barbuda; an Act of Parliament is necessary in such cases. The Governor-General, on behalf of the Queen, also accredits Antiguan and Barbudian High Commissioners and ambassadors, and receives diplomats from foreign states. In addition, all Antiguan and Barbudian passports are issued in the Monarch's name. In Antigua and Barbuda major public inquiries are called Royal Commissions, and are created by the Cabinet on behalf of the Monarch through a Royal Warrant. The Sovereign is one of the three components of Parliament; the others are the Senate and the House of Representatives. The Governor-General is also responsible for summoning the House of Commons, though it remains the Monarch's prerogative to prorogue, and dissolve Parliament. The new parliamentary session is marked by the State Opening of Parliament, during which either the Sovereign or the Governor-General reads the Speech from the Throne in the Senate Chamber, outlining the Government's legislative agenda. Prorogation usually occurs about one year after a session begins, and formally concludes the session. Dissolution, the timing of which is affected by a variety of factors, ends a parliamentary term (which lasts a maximum of five years), and is followed by general elections for all seats in the House of Commons. The Monarch or the Governor-General may theoretically refuse a dissolution. Because the Antiguan and Barbudian Monarchy is a constitutional one, the powers that are constitutionally the Monarch's are exercised almost wholly upon the advice of his or her Prime Minister and the Ministers of the Crown in Cabinet, who are, in turn, accountable to the democratically elected House of Commons, and through it, to the people. It has been said since the death of Queen Anne in 1714, the last monarch to head the British cabinet, that the monarch "reigns" but does not "rule". This means that the Monarch's role, and thereby the Governor-General's role, is almost entirely symbolic and cultural, acting as a symbol of the legal authority under which all governments and agencies operate. All laws in Antigua and Barbuda are enacted with the Sovereign's, or the Governor-General's signature. The granting of a signature to a bill is known as Royal Assent; it and proclamation are required for all acts of Parliament, usually granted or withheld by the Governor-General, with the Public Seal of Antigua and Barbuda. The Governor-General may reserve a bill for the Monarch's pleasure, that is to say, allow the Monarch to make a personal decision on the bill. The Monarch has the power to disallow a bill (within a time limit specified by the Constitution). The Sovereign is deemed the "fount of justice," and is responsible for rendering justice for all subjects. The Sovereign does not personally rule in judicial cases; instead, judicial functions are performed in his or her name. The common law holds that the Sovereign "can do no wrong"; the monarch cannot be prosecuted in his or her own courts for criminal offences. Civil lawsuits against the Crown in its public capacity (that is, lawsuits against the government) are permitted; however, lawsuits against the Monarch personally are not cognisable. In international cases, as a sovereign and under established principles of international law, the Queen of Antigua and Barbuda is not subject to suit in foreign courts without her express consent. The Sovereign, and by extension the Governor-General, also exercises the "prerogative of mercy," and may pardon offences against the Crown. Pardons may be awarded before, during, or after a trial. In Antigua and Barbuda the legal personality of the State is referred to as "Her Majesty the Queen in Right of Antigua and Barbuda." For example, if a lawsuit is filed against the government, the respondent is formally described as Her Majesty the Queen in Right of Antigua and Barbuda. The monarch as an individual takes no more role in such an affair than in any other business of government. I, ___________, do swear (or solemnly affirm) that I will faithfully bear true allegiance to Her Majesty Queen Elizabeth the Second, Her Heirs and Successors, according to law. So help me God. (To be omitted in affirmation). Elizabeth II, Queen of Antigua and Barbuda, and her husband, the royal consort the Duke of Edinburgh, included the Antigua and Barbuda in their Caribbean tour of 1966, and in the Silver Jubilee tour of October 1977. The Queen visited again in 1985. The Earl of Wessex opened Antigua and Barbuda's new parliament building on the country's twenty fifth anniversary of independence, 30 October 2006, reading a message from his mother, the Queen. HRH The Duke of York visited Antigua and Barbuda in January 2001. ↑ "Country Profile: Antigua and Barbuda". Foreign and Commonwealth Office (UK). Retrieved 18 December 2008.